Joe contacted us about a surprise proposal he was planning in Portland for Liz and we had so much fun scheming with him to make it happen. It was incredible all the thought he put into everything and Liz was so surprised and couldn't believe he pulled it off without her suspecting anything. They came to Maine for a weekend in July from Connecticut and it was the perfect time and place for him to propose. 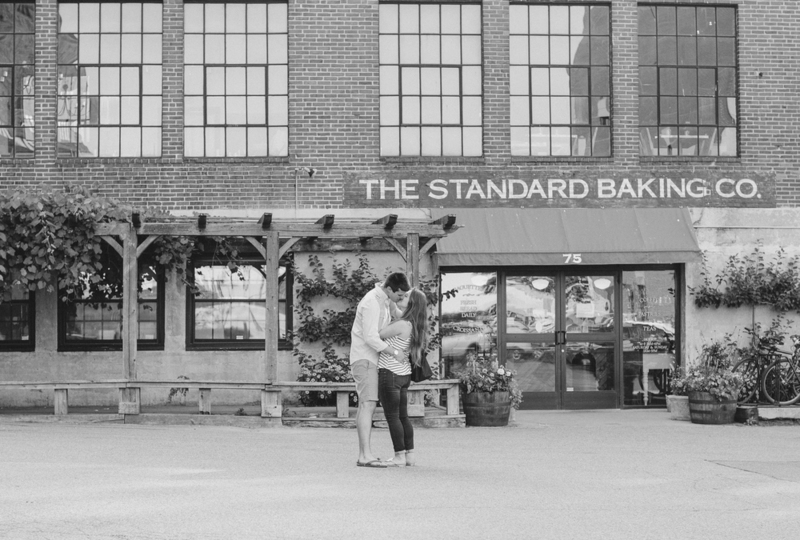 Joe chose the Standard Bakery because one of their favorite restaurants, Fore Street, is above it. 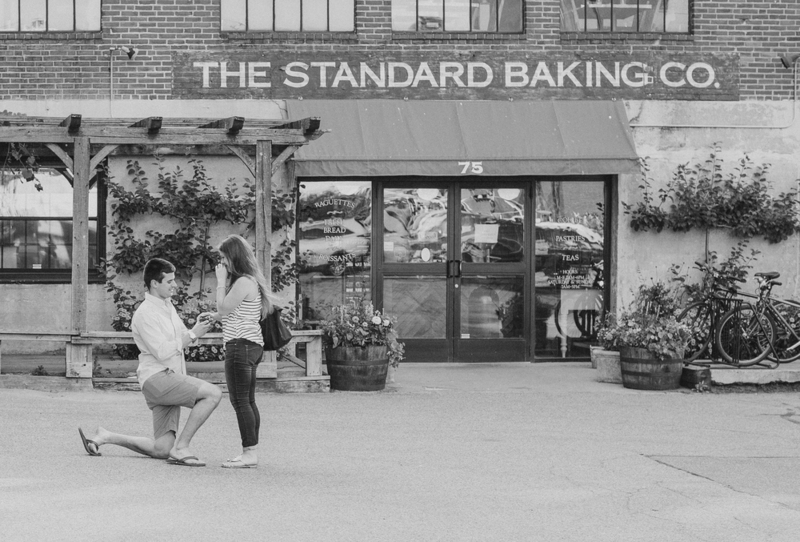 It was such a cool and unique spot for a proposal with all of the textures there, and the people at Standard even brought out some bread for them after he proposed! ;) We walked around Portland with them and had a blast finding cool spots with them and getting to know them. We're looking forward to seeing them again at their 2017 wedding!